Morrissey has become Morrissey-eque, a dull carbon copy of the Morrissey from years past. After a nearly flawless career with the Smiths (with a lot of help from Johnny Marr) and one amazing solo album in 1988's Viva Hate, Morrissey has become one of the least ambitious idols in all of rock. His newest album is at best a parody of old Morrissey. He has become boring. He has become stagnant. He has become irrelevant. In a scene from the Noah Baumbach film The Squid and the Whale, young Walt Berkman tries to impress a girl by talking about Kafka's Metamorphosis. It is obvious that he has never read the book, and as he rambles on he mentions that the book is Kafkaesque. The girl responds by saying something to the effect of "Well, yeah, Kafka wrote it." But Walt made a keen observation, whether he meant to or not: almost all idols of popular culture eventually become bigger than their human likenesses. They can even come full circle, and become a copy of themselves. 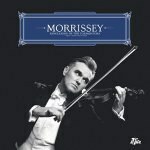 So now comes Morrissey with his new album, Ringleader of the Tormentors. He is the indie-pop god of all gods. He is the Fitzgerald to Thurston Moore's Joyce and Stephen Malkmus's Hemingway. But unlike Moore and Malkmus, Morrissey has become an old, stale indie-pop idol. He hasn't evolved at all in 18 years of solo work. He has become Morrissey-esque. Old Morrissey, with the Smiths and his early solo work, was true gloom. New Morrissey is just old gloom rehashed. He is trying hard to remember what it was like to be pissed off and unhappy, but it just isn't working. It's not his fault at all that Morrissey circa-1986 can now sound boring as well. The pop scene has hashed and rehashed his sound so many times that his once-strange croon now sounds like the latest pop disaster. But what is Morrissey's fault is that he hasn't adapted. He goes on like no one has ever heard, let alone commandeered, his style or words. In a recent television interview with Dave Fanning on the Ovation Network, Moz had the audacity to say that there are no decent pop vocalists or lyricists around. Even just off the top of my head, I can name several bands/artists who I think are vocally and lyrically superior to current Morrissey, and are doing more important work in the realm of pop music: Neutral Milk Hotel, Destroyer, Devendra Banhart, Of Montreal, Will Oldham, the Decemberists, and Bright Eyes. That's just an eclectic few out of many. After Morrissey's claim about the state of pop music, Fanning was visibly taken aback. But still Morrissey pressed on, asking Fanning if any pop music had touched him recently. When Fanning mentioned a Nick Cave song that he thought really makes a stand lyrically and vocally, Morrissey dismissed it by saying that Fanning was prepared to like the song since he was already a Nick Cave fan. This is a perfect example of the arrogant, delusional world that Morrissey lives in. He refuses to adapt to a changing musical landscape. While many purists applaud him for it, it is really his downfall. When Dylan went electric, a lot of people were pissed. But "Like a Rolling Stone" is one of the greatest pop singles of all time because Dylan grew and adapted and wrote the song for a changing society. Well the pleasure, the privilege is mine. These lyrics are gloomy and at the same time literary and soulful. And if you want to get into solo Morrissey, "Everyday Is Like Sunday" is a blockbuster, lyrically. Another song on Ringleader, "In the Future When All's Well", features some of the most typical rock guitar I've ever heard. This is the song that made me immediately wish Johnny Marr would get out of his rut and return to give Morrissey some help. The vocals on this track are shaky and unsure, as well. This is especially surprising; whether you love him or hate him, the one thing Morrissey never exhibited in his croon was uncertainty. Here the vocals are flat, not like the Morrissey of "There Is a Light that Never Goes Out", where the vocals are so round and ambitious that they well up in your stomach. Musically, Morrissey has been stagnant for the last five or six albums, but lyrically it seems like he's actually regressed in some aspects. Long gone are the tales of dark humor and loveless nights. You can't fake gloom, and it seems like Morrissey is desperately trying to do that. At the end of "You Have Killed Me", he sings: "And there is no point saying this again". Take your own advice, Moz. Before his death, Morrissey will probably crank out a hundred more albums and none of them will be particularly bad. The only thing this proves is that Morrissey has attained such indie-god status that no one is willing to believe he can do any wrong. But each new album will most likely be a carbon copy of his former self. And with every copy the image gets a little more distorted.